I bought this gorgeous case from Amazon UK which was £16 delivered Amazon Prime. 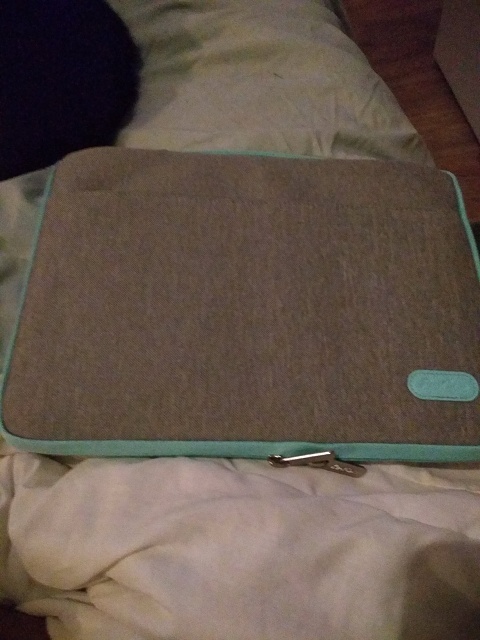 It fits the Pixelbook perfectly and is padded and soft inside to protect the laptop. It has a carry handle on top and a pocket on the side for charger and accessories. It opens fully and lies flat to allow full access to the laptop as well. It really is an excellent choice for the PB. Definitely like this. It has a pen holder on the inside of the case that works perfectly for me. Been using it since December and I have zero complaints. I have it as well, in this black color. Its is really nice! Since Mike brought up that this thread has been floating around before I made a sleeve thread, I'll bump this one up. I purchased the Bellroy case from bellroy.com since Google store didn't have any in stock. Then I ordered the pen clip which I really like, that way if I don't care with the Bellroy sleeve I still have the pen. 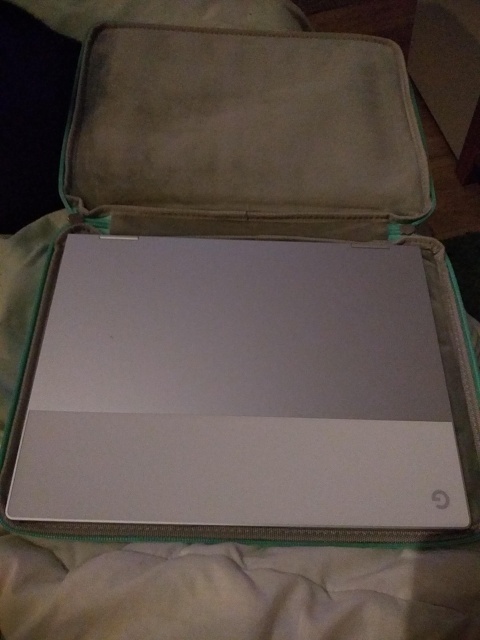 I justified the purchase by thinking the Pixelbook is so beuatiful it was worth spending extra and a great looking sleeve. Pixelbook fits great in the sleeve and I'm very happy with it. I have a Bellroy case on the way, and I also have their pen clip. With the pen clip, does it still fit in the loop? I currently have a tomtoc sleeve, which is nice, though the pen sort of flops around in the back pocket. 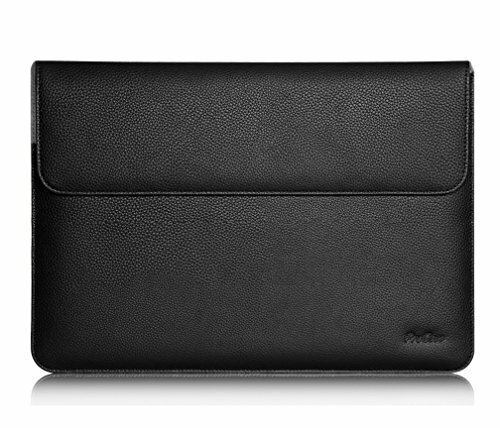 I like that ProCase Surface Laptop sleeve, though again, I wonder if the Pixelbook Pen (with clip) would fit in the holder. I haven't tried using the pen clip and loop from the sleeve at the same time, it would still work only on the party of the pen that the clip doesn't cover. 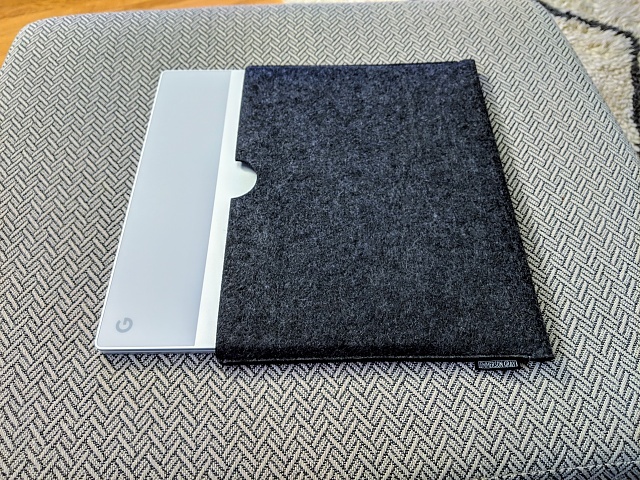 When I use the pen clip I attached the pen/clip to the Pixelbook and bypass the loop from the sleeve. Thanks for the info! Since you've had the pen clip for awhile, you've not noticed any kind of scuffling by clipping the pen to the Pixelbook? I'm planning on putting my dbrand skin on it (been lazy to get around to doing so ), so I've been apprehensive clipping it to mine. I haven't used the pen clip or even the pen in the last 6 months or so, prior to that I haven't had any scuffing on my Pixelbook. The part that clips on the Pixelbook seems fairly softer so it shouldn't cause any harm. 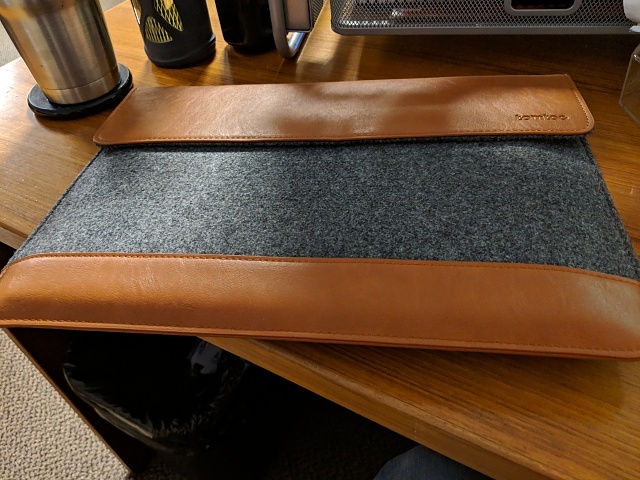 Short update: I picked up a Bellroy sleeve in gray (with the leather accents) and tried it out. It's nice and snug, but I decided it wasn't for me...I'll sell it to anyone here for a good price. As for the clip, I'm contemplating returning or selling it. I just put on the dbrand skin, and now the clip doesn't appear to fit. I'm afraid of forcing it to clip on because it might damage the skin or the corner of the display on the other side. For you sleeve owners, do you find you use yours a lot? I have a full on laptop bag that i use to transport my laptop (say to a coffee shop), so a sleeve would be mostly for around the house. And I'm wondering if I'd use the sleeve much really. I use mine and put it in my bag with a laptop holder. Honestly, i like it because it keeps my pen and computer together for when I'm traveling around the office and campus for meetings when I am not taking my whole bag. I don't have a pen yet and am guessing I won't get one (unless someone convinces me I need one!) so that part doesn't pertain necessarily. Thanks for your response though. If you decide to get one, the Android app Squid is by far the best note taking app I've ever used any platform. 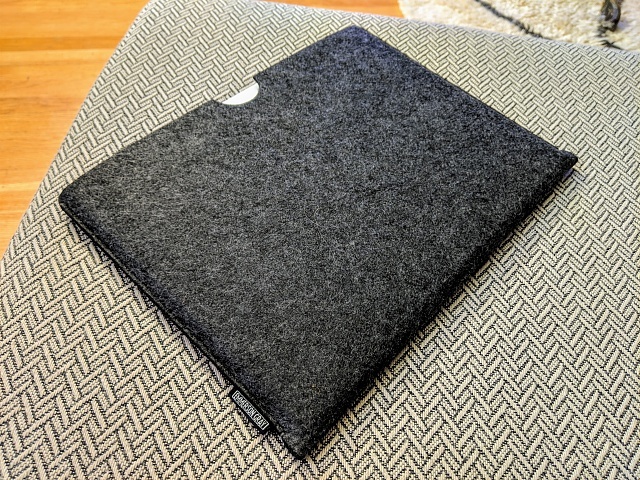 I use my Tomtoc sleeve when my Pixelbook is not in use. When I take my messenger bag with me, I keep the PB in the sleeve and just slip it in. Sidenote, I put the PB pen either in the back pocket of the sleeve, or in a pen pocket in my messenger bag when not in use. I've been using it more than I expected. 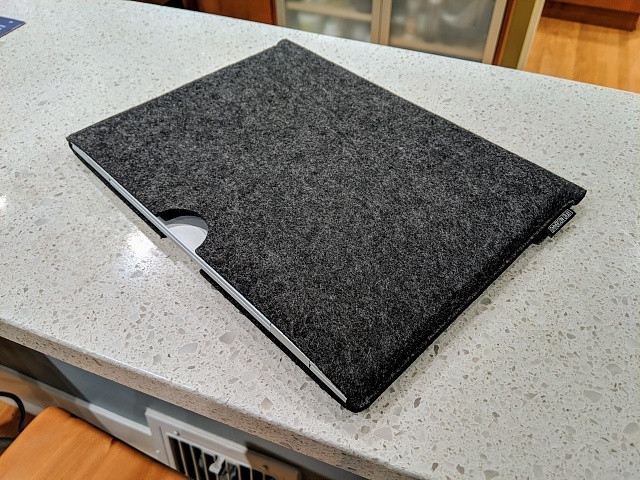 Seems like other Macbook 13" sleeves work for the Pixelbook, so maybe this one would too? I like the looks, magnetic closure, amount of padding (I think), price point, etc. ^^^Looks nice. I don't see any pockets on it though? I am looking for a snap on cover rather than a case , anyone have any suggestions? I bought a clear one from eBay. It was literally the only clear one I could find. The brand is iPearl. It's great. Doesn't add bulk or keep it from standing up. I'll report back after I get it. The more I thought about it the more I figured there's a decent chance I won't use a sleeve much, and when I do it's just for around the house. So I went simple and cheap-ish. Let us know how it turns out when you get it! I'm really liking my Emmerson Gray PB sleeve. Perfect fit, nice look, fair price, more protection than I expected as the felt is thick. Here's pics! Yeah I was worried about the no flap/cover thing... The fit is a perfect amount of snugness though so there's no way it'd slip out on its own but at the same time it isn't hard to remove, if that makes sense. They do have an option for a pen holder add-on although I didn't get it (I don't have the pen and don't plan to get it). what do i do to get my phone to work again? Why CAN'T I use my Samsung 7? Why will google fi not call me about their burnt up phone I can not use?